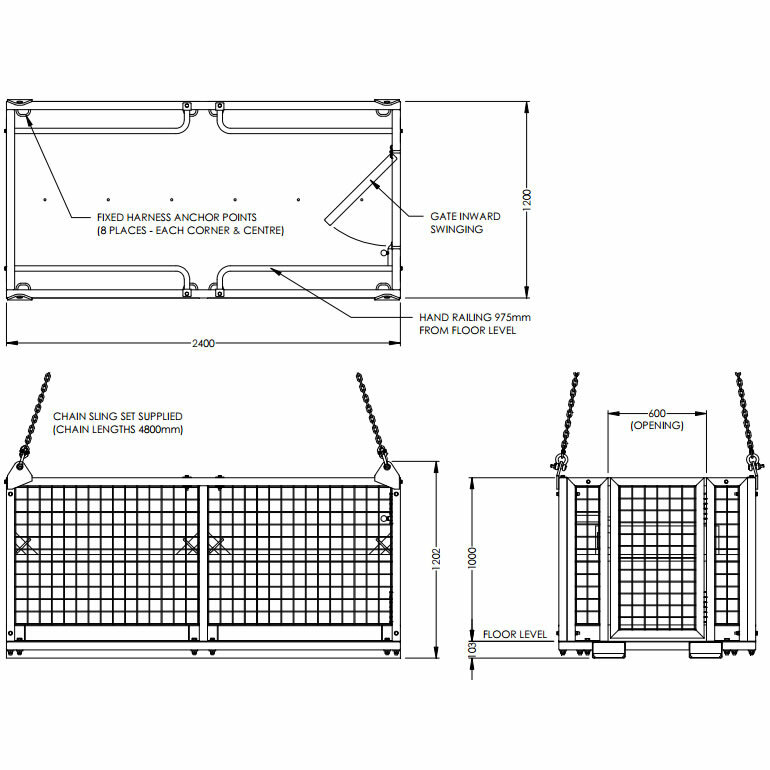 NS-WP-NC2 Crane Man Cage without roof has been designed strictly in accordance with Australian Standard AS 1418.17 and is suitable for a maximum of six people. The type NS-WP-NC2 Crane Man Cage Work Platform has been designed strictly in accordance with Australian Standard AS 1418.17 and is suitable for a maximum of six people. Work performed in this Cage shall be limited to special tasks of short duration in situations where necessary to elevate personnel where it is not practicable to erect scaffolds or use a specially designed device. Fork Arm slippers are provided for transport purposes only. 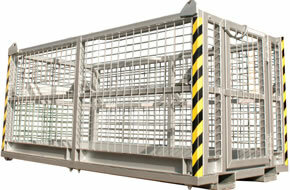 NS-WP-C4 crane cage is suitable for 1 person and has no roof fitted. NS-WP-C11 crane cage is suitable for 2 people. NS-WP-C12 crane cage without roof is suitable for maximum 4 people. NS-WP-NCR Crane Cage Work Platform is suitable for a maximum of four people and has roof. NS-WP-C8 crane cage with roof is suitable for 1 person. NS-WP-NC Crane Cage without roof has been designed strictly in accordance with Australian Standard AS 1418.17 and is suitable for a maximum of four people. NS-WP-NC2R Crane Cage with roof has been designed strictly in accordance with Australian Standard AS 1418.17 and is suitable for a maximum of six people.